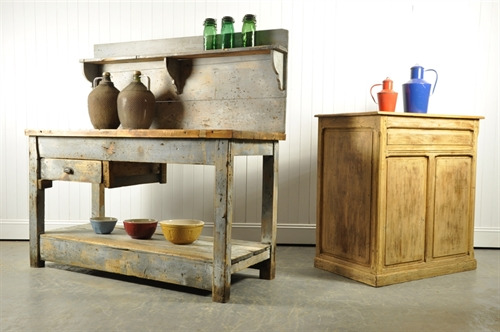 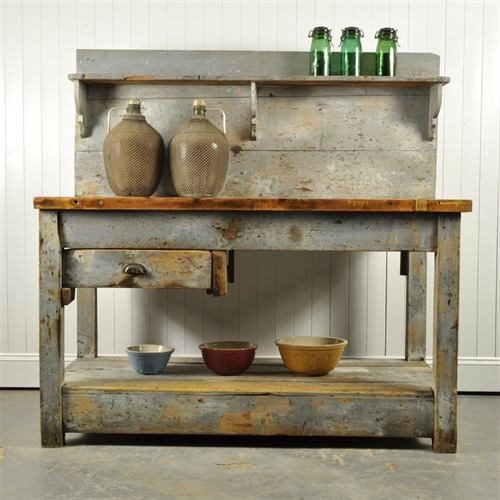 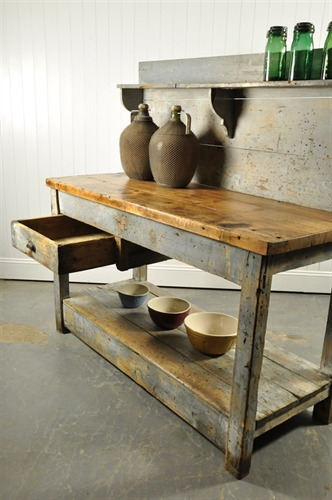 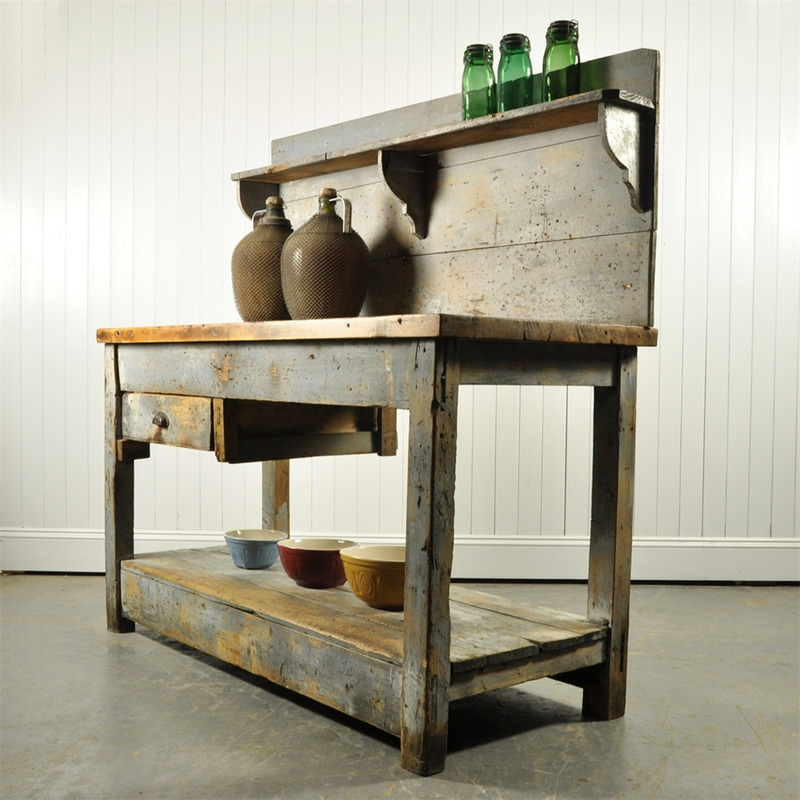 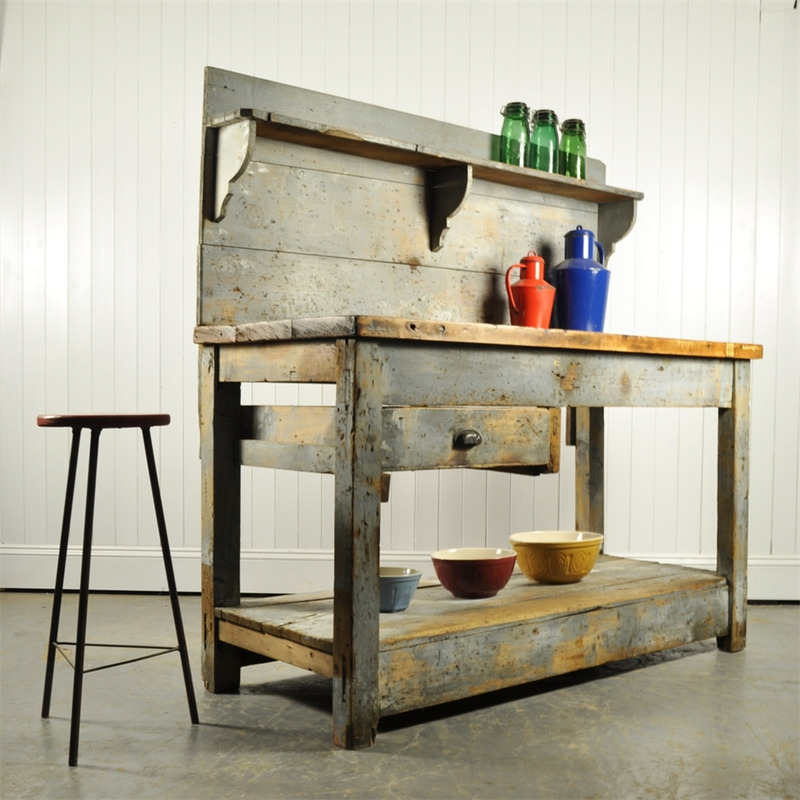 We love the dusty blue colour of this early 20th century factory workbench. All very authentic with very little restoration. 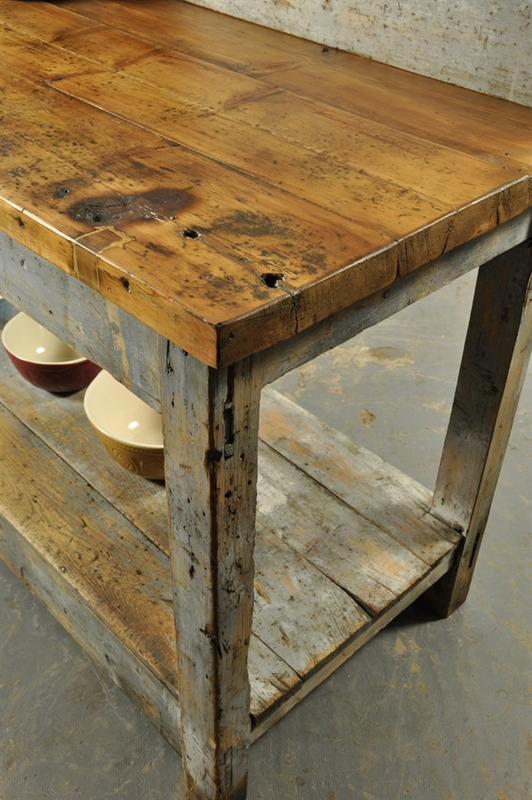 We have sanded the top and finished it with a wipeable shellac lacquer - making it more user friendly. 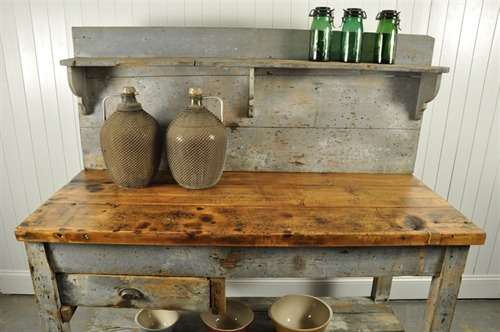 It retains masses of character all over and there are a few bumps and scrapes. Being an industrial piece of furniture it is very sturdy. The back easily unscrews for installation.